Diamond Details: 24 Round brilliant cut white diamonds, G color, SI2 clarity, and excellent cut and brilliance, weighing .07 carat total. 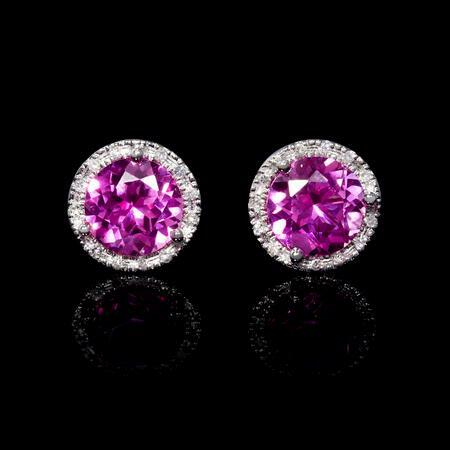 Gemstone Details: 2 Pink corundum stones, of exquisite color, weighing 2.57 carats total. 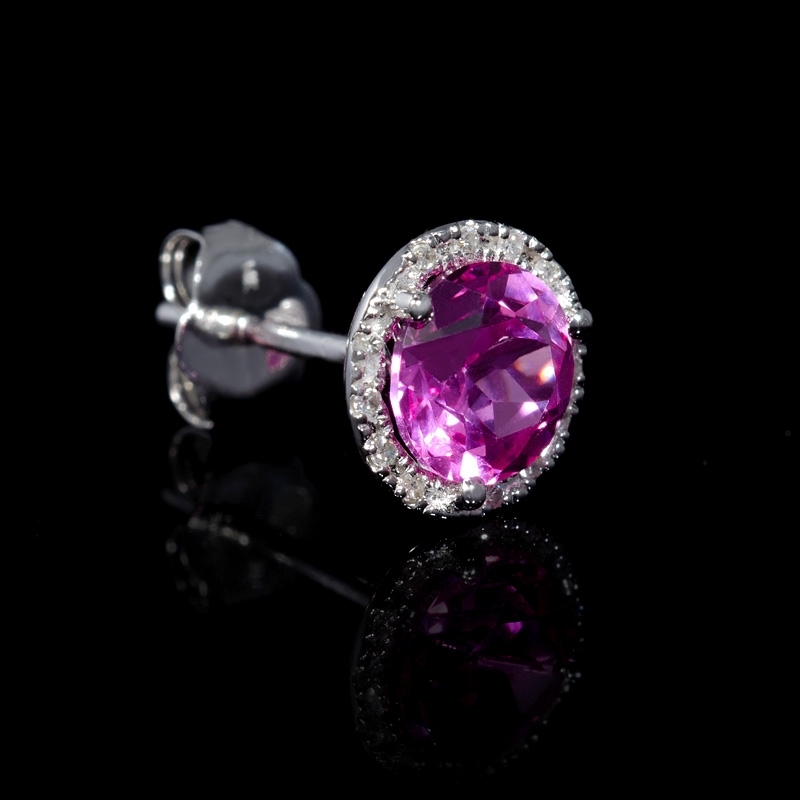 Earring Details: 14k white gold. 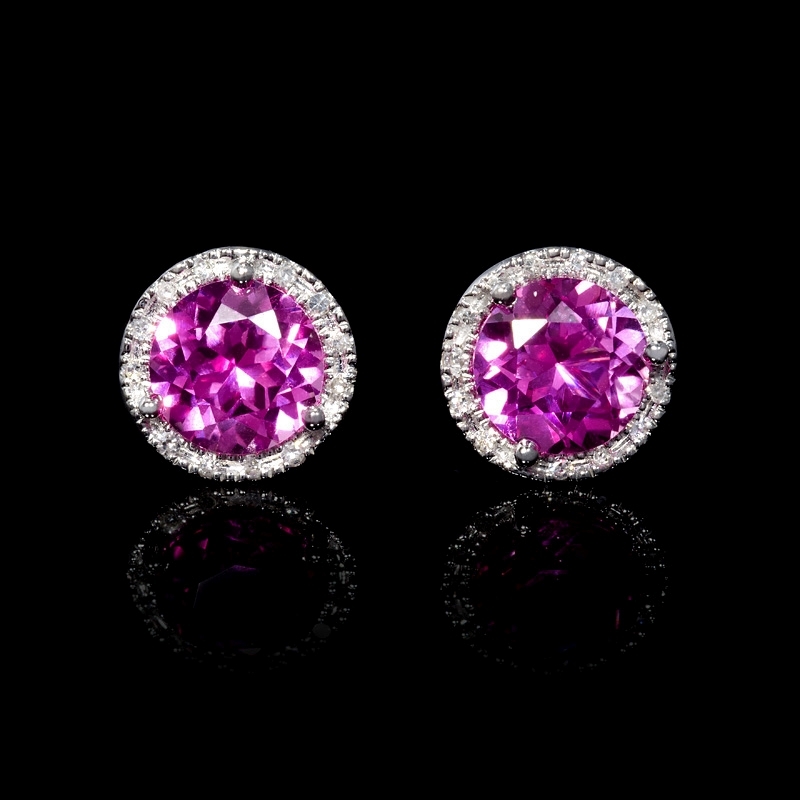 This spectacular pair of 14k white gold earrings, contain 24 round brilliant cut white diamonds of G color, SI2 clarity, of excellent cut and brilliance, weighing .07 carat total, surrounding 2 pink corundum stones, of exquisite color, weighing 2.57 carats total. A great gift idea! These earrings contain post and push backs and measure 8mm in diameter.